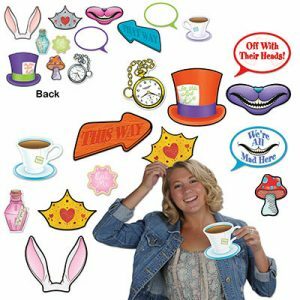 ‘Alice in Wonderland’ Party Theme for Your 21st Birthday? Go for It! Just because you’re turning 21 doesn’t mean you can’t have a birthday party with a theme based on a fictional character from a children’s book. On the contrary, having your party’s theme based on a character like Alice in Wonderland is a great way to celebrate your special day. If you’re planning to throw a party based on Alice’s adventures, just give it a go since it’s one of the most fun and interesting themes to work with. Start with the backdrop. Make it fun and crazy, and yet bright and classy at the same time, just like the Mad Hatter. Speaking of the Mad Hatter, you can base your backdrop on this character alone. You can go for a key, some teacups, a large clock, and other stuff associated with the character. In terms of food, carefully select your main dish and desserts, so that they are customised to suit your theme. Consider serving custom lollipops, chocolate bars, and even mineral water bottles. Go for red heart cookies and colourful jellybeans, as well. And don’t forget to label glass jars with “Eat Me” or “Drink Me” tags. You can even make marshmallow pops resembling the Mad Hatter’s cool hat! Another cool idea is to design wishes cards to resemble a deck of cards. These cards will be filled out by the guests with birthday wishes and then given to the birthday girl during the party or right before they leave. It would also be great to have a Polaroid camera ready. The guests can then have their pictures taken with the backdrop as their background. You can then have the photo sleeve resemble a deck of cards or even a fan. The guests can then take them home as party favours. To set the mood for the “partea”, you can place crazy-looking welcome signs and directions at the entrance of the venue. You can even place one large post in one spot and have arrows pointing in every direction. Of course, you would want to make sure they point to the right way like where the “Rabbit’s Hole” is or where they can see the Queen of Hearts. Your ‘Alice in Wonderland’ party won’t have the feel it’s supposed to have unless you get everybody to dress up as citizens of Wonderland themselves. 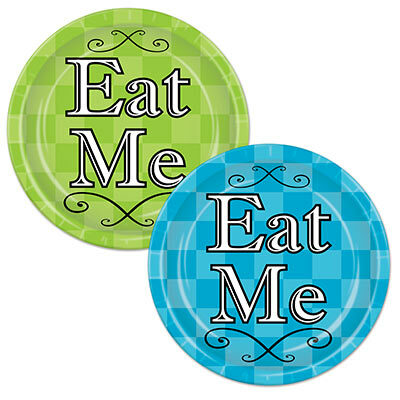 Obviously, you would be Alice, so add that as part of your disclaimer when you send the invitations. It’s definitely okay to have several Mad Hatters, Cheshire Cats, or Tweedledees and Tweedledums, but it’s definitely not cool to have more than one Alice. 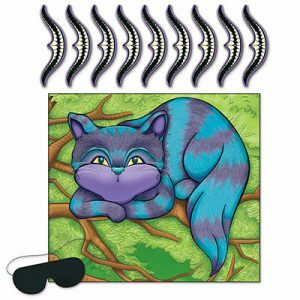 An Alice in Wonderland party may be intimidating to set up, but be like the queen and believe as many as six impossible things, with throwing a 21st birthday party based on Alice’s adventure being one them. This entry was posted in Alice in Wonderland and tagged 21st birthday, alice in wonderland, alice in wonderland party, alice in wonderland party theme on May 5, 2017 by Mercurian.